I composed a list of all the articles on the Canon G1X Mark II posted to the CanonCameraGeek site. It's my favorite take-anywhere camera and I use it a lot, so perhaps that's why I've written so much about it. I didn't realize that I wrote so many until I looked at the traffic stats for my web site and saw so many pages. This list of posts should help you find out just about anything you want to know about this camera. Here, in alphabetical order, is the list of Powershot G1X Mark II articles. Canon G1X Mark II Accessories EVF viewfinder, batteries, remote cord, camera cases, lens shade, external flash. Essential accessories as well as fun add-ons. Canon G1X Mark II Alternative - Different digital camera choices besides the mMark II that might be a better fit for you. 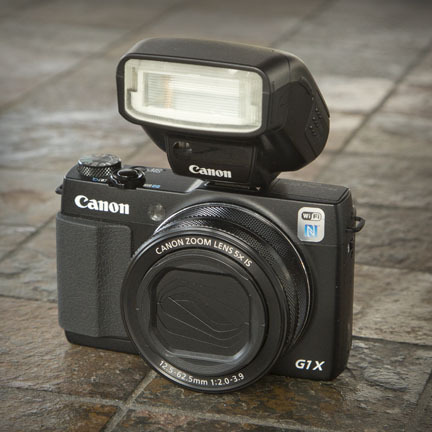 Canon G1X Mark II and the Speedlite 270EX II - One of my favorite combinations for a digital camera and flash that gives great results in a real easy to carry size. Canon G1X Mark II Battery - It has received some criticism. Here is what I do to make sure I never come up short when it comes to powering my camera. Canon G1X Mark II Camera Case - Lots of options here, in terms of size and capacity, as well as quite a bit of variation in pricing. Canon G1X Mark II First Impression - This was one of the first posts I made on the camera and it includes several firsts, including the first macro photo, first portrait, and first video shot. Canon G1X Mark II Grip - I upgraded mine to the European version. 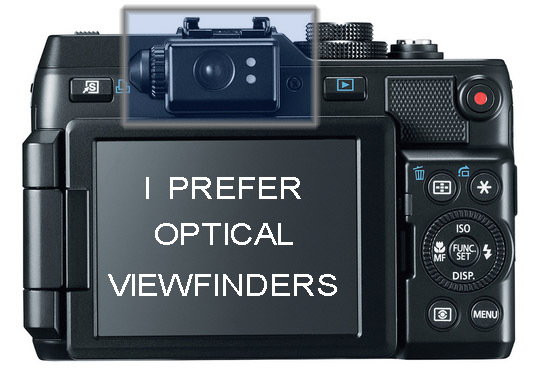 Canon supposedly asked for preferences. I guess mine were different. Canon G1X Mark II High ISO Test - One of the big advantages of this type of high-end point and shoot camera is its performance in low light situations. Here is what I found out. Canon G1X Mark II Lens - The lens design made it so much better than the original G1X, Faster focusing, closer focusing, and a laonger zoom range. Canon G1X Mark II Sample Images - The final say on whether a camera is any good or not is based on the quality of the images it can take. Canon G1X Mark II Sensor - It's nice and big and that gives it several advantages over the more tupical point and shoot cameras on the market. 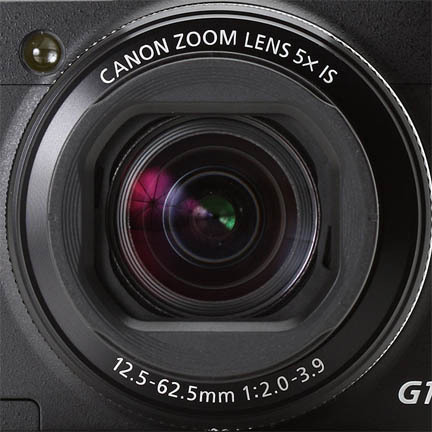 Canon G1X Mark II Specs - For those that are curious, digital camera specifications are sometimes over emphasized, but there are a few important ones you should pay attention to. Canon G1X Mark II Viewfinder - It's another good chunk of change to lay out, but for me I wouldn't have bought this camera without this accessory. Canon G1X Mark II Vs Canon G11 - The G11 was my first Canon point and shoot. A comparison between the two was only natural to do. Canon Powershot G1X Mark II Manual - Never written as good as the guide books written by pro photographers, the manual still has very valuable information contained within. 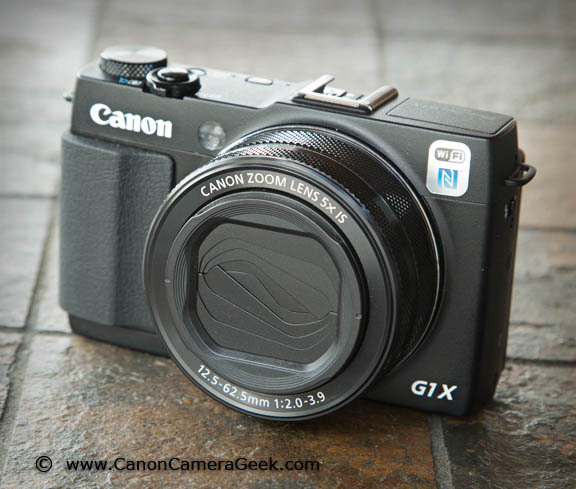 Canon Powershot G1X Mark II Review - More or less my conclusions about the Powershot G1X Mark II, based on using it and researching it extensively before I bought mine. G1X Mark II Image Quality - I don't perform the technical scientific tests. I prefer the ones that I do personally out in the field of play. G1X Mark II LCD Screen - The features of the LCD screen, what I like about it and what I don't like about it. G1X Mark II Nature Photos in North Carolina - Another field test with this camera and some sample photos. Do you like any of them? ***I should condense all of these articles on the Canon G1X Mark II into an ebook. I searched for books on the G1X Mark II and the only things that came up were in German and in Japanese. Ahhh, perhaps some day. Getting Good Bokeh With the G1X Mark II - One of the last articles I've written on this camera, not because I don;t like the camera. It's just time to move on. Lens Shade for the G1X Mark II - One of several articles on some of the accessories available. Which ones are worthwhile and which ones can you do without. Macro photography With the G1X Mark II - First article written specifically about doing macro photography with the Mark II. Macro Photography With a G1X Mark II - the Non-flower edition - Most of macro photography rewvolves around taking close-ups of flowers. This article has different subject matter. New Soft Case for the G1X Mark II - Not my own favorite, but very affordable and will provide some protection if you like this type of case. Powershot G1X Mark II Photos - Taken on a photo excursion to the mountains in West Virginia, I used both the Powershot G1X Mark II and my Canon 5d Mark III as my two cameras of choice. Running With the G1X Mark II - I don't shoot that much video, so I was just acting a little silly, playing with my new toy and running through the woods. Sony RX100 III vs. the G1X Mark II - the Sony is a good solid competitor for the Canon and a better choice for some of you, depending on your specific preferences in digital camera design. Done! 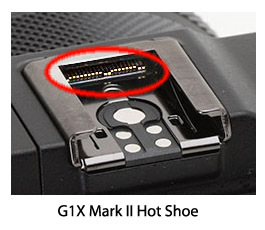 I hope you enjoyed visiting at least of few of these articles on the Canon G1X Mark II. The G1X Mark II has a nice big, sharp LCD screen that rotates and swivels. The hot shoe gives you the capacity to add a Canon speedlite, another brand of flash gun, or the EVF electronic viewfinder to your G1X Mark II. The 5x optical zoom gives you a nice wide range of focal lengths that will handle just about any photography situation you encounter. I like to use a Speedlite 270EX II mounted to the hot shoe for superior flash photography.